Everybody get up it’s time to slam now. Welcome to the SPICE JAM! Join Thrive Pilates & Movement Studio and the Young Friends of the Kansas City Public Library for a night of Girl Power! 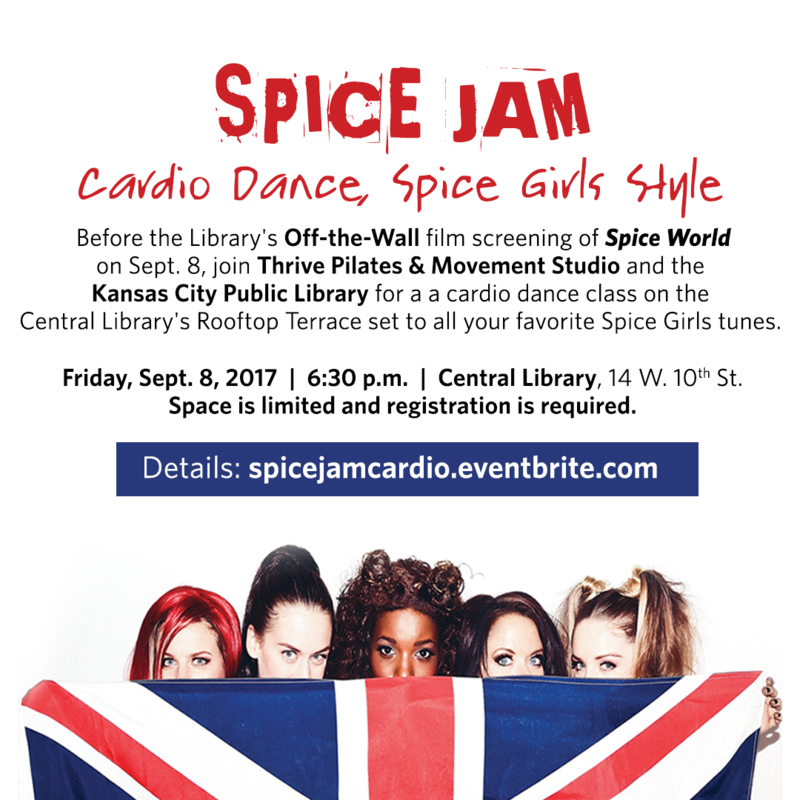 Before the Library’s public screening of Spice World, the final movie in the 2017 Off-the-Wall Film Series, Thrive will lead a FREE cardio dance class on the Central Library’s Rooftop Terrace set to all your favorite Spice Girls tunes. FREE EVENT; SPACE IS LIMITED AND REGISTRATION IS REQUIRED. Enter the Library through the Café doors, located to the east of the main entrance facing 10th Street. Following the class, participants are invited to stick around for the Spice World screening and enjoy popcorn courtesy of the Friends of the Library and two complimentary beers provided by Kansas City Bier Co. Guests must bring their own chairs and blankets. If you plan to attend, please RSVP! This event is free, but space is limited, and registration is required. You are encouraged to dress as your favorite Spice Girl, but please wear shoes you feel comfortable moving in. Bring a water bottle and a hand towel if you feel you will need them. Water will be available at the Library. Prizes will be awarded for Best Moves, Best Dressed, and Best Band. Participants must sign a waiver. You can access it online, complete in advance and bring with you, or you can fill it out during check-in (Download PDF or MS Word version). Guests under 18 must have a guardian complete the form. In the event of rain, the class (and movie) will be moved indoors. 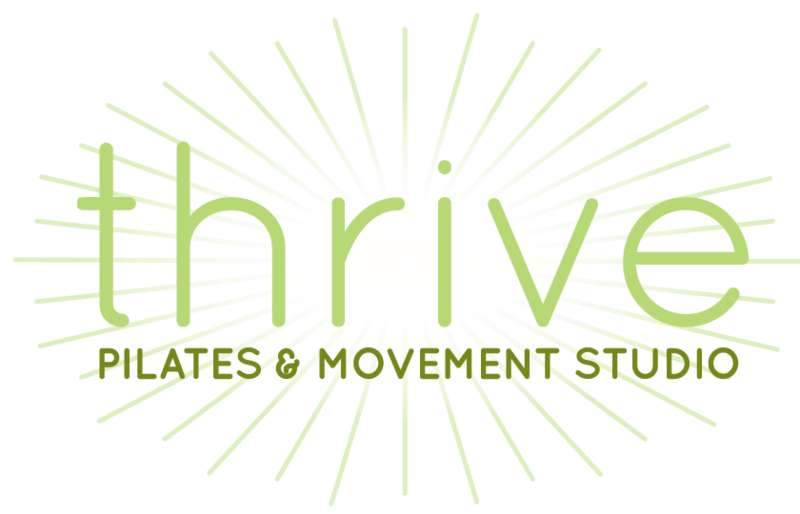 Lauren Thompson has been teaching Pilates and yoga in Kansas City for over ten years. She is certified through The Center for Women’s Fitness as a Women’s Health and Fitness Specialist and also sits as faculty for TCFWF. In addition to her Pilates and yoga certifications, Lauren is also a licensed professional counselor. With her extensive background in both how the body moves and how our minds work, Lauren brings a unique perspective to her clients, using techniques from both worlds to help her clients achieve total health, mentally and physically. Shannon Roentved is a Certified Strength and Conditioning Specialist (CSCS), Group Fitness Instructor, and Personal Trainer. She is also a POUND ICON Master Trainer. Shannon focuses on making fitness an integral part of her client’s healthy and balanced lifestyle. She strives to convey her love for fitness in a way that her clients and classes can easily embrace and own for themselves. Shannon looks forward to connecting with people of all fitness backgrounds in a way that will inspire and motivate them as it does for her.